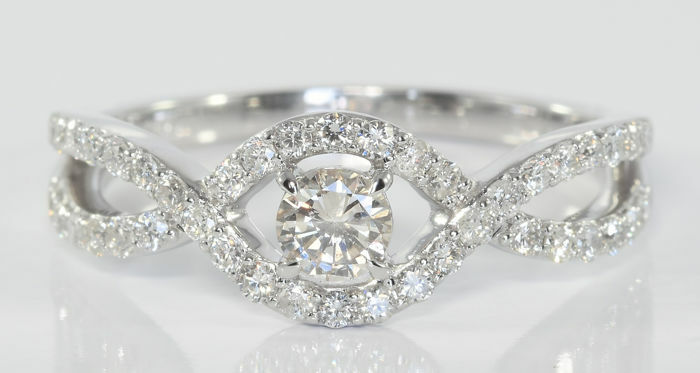 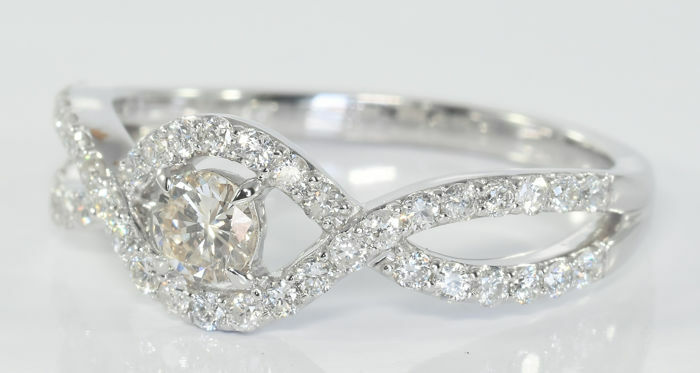 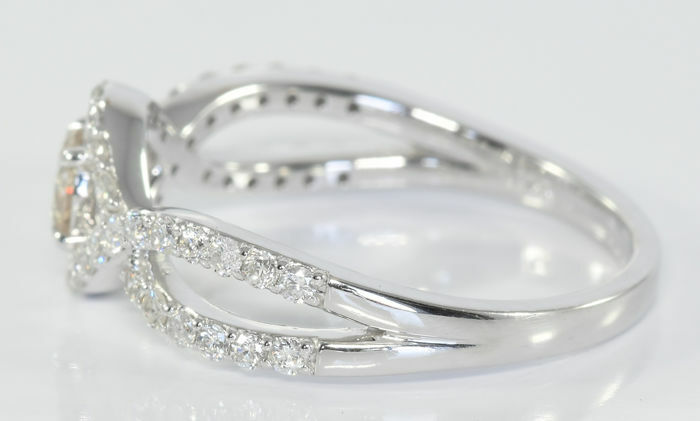 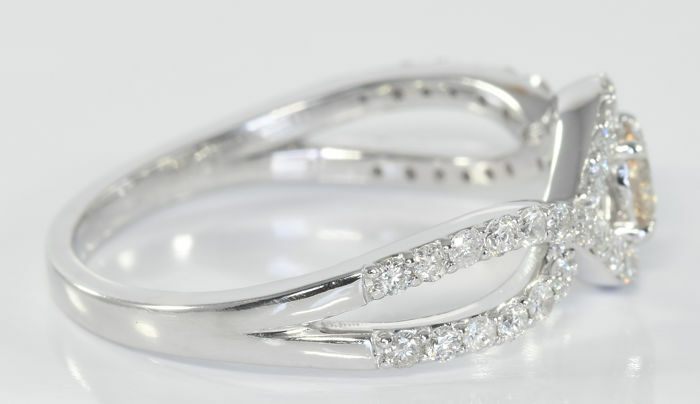 A 14 kt white gold ring with a single brilliant-cut diamond and brilliant-cut diamond interweaving shoulders. 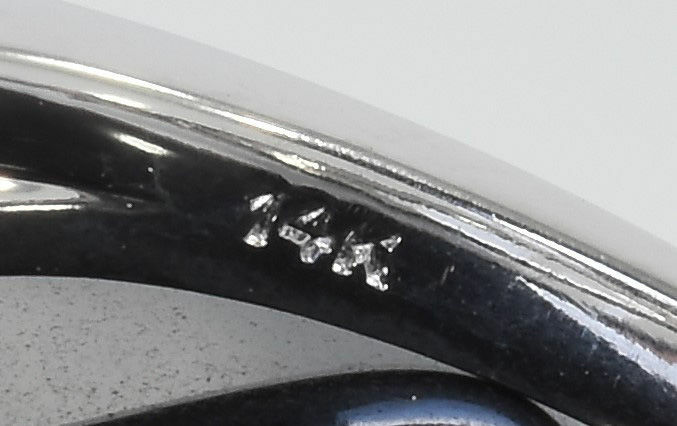 Hallmarked for 14 kt gold. 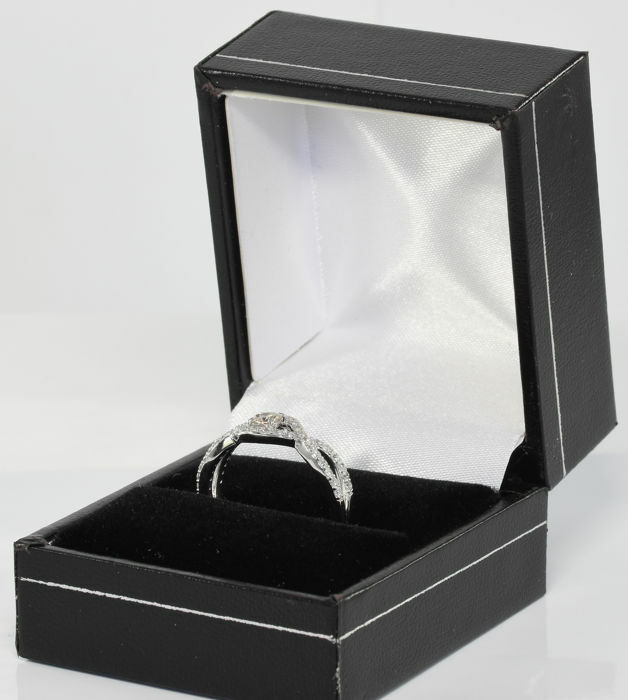 The ring has been newly rhodiumed and is presented in excellent condition in a new ring box. 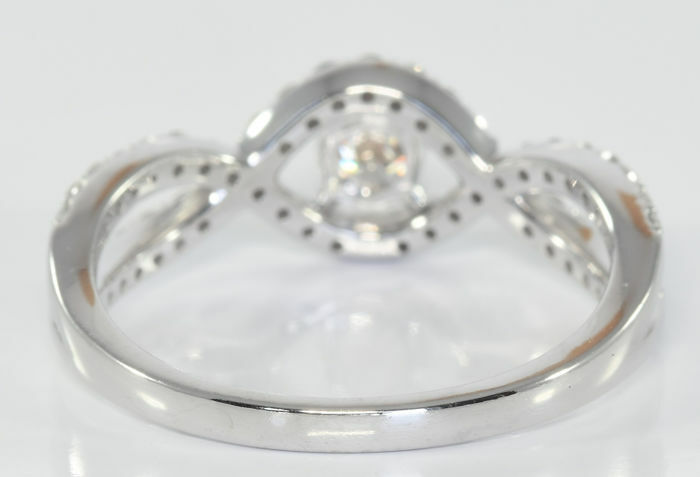 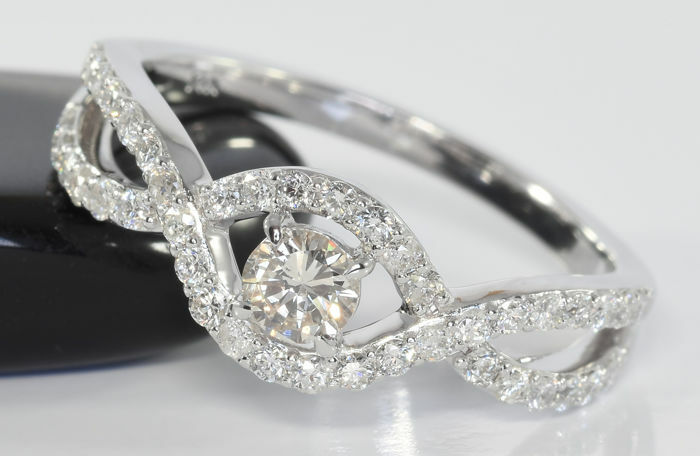 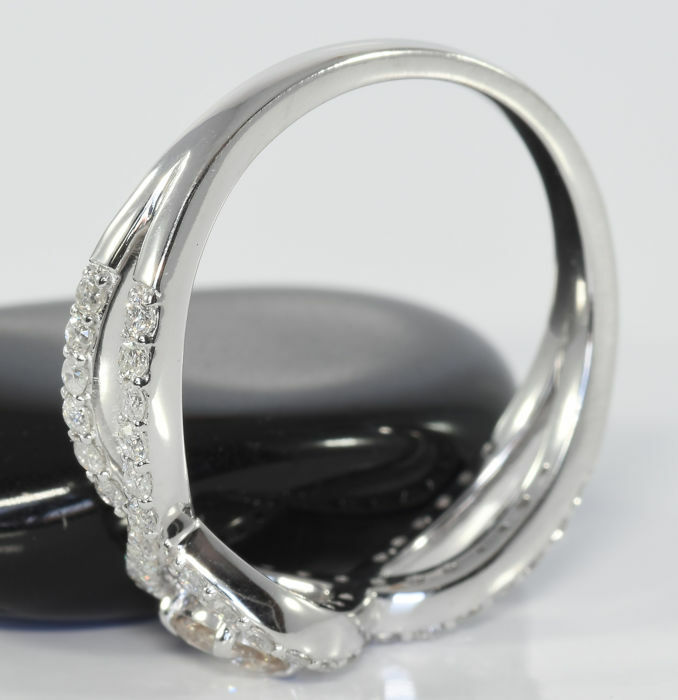 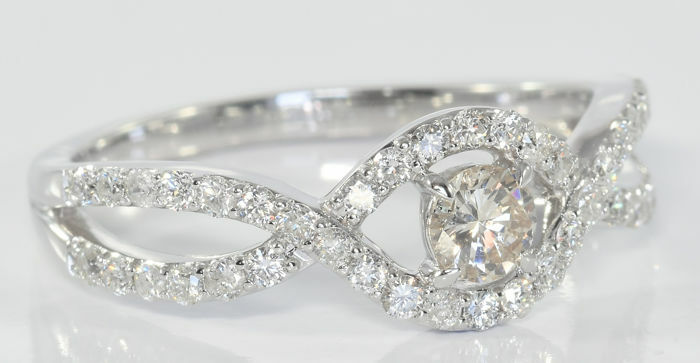 The ring can be resized but please note that we do not provide this service ourselves. 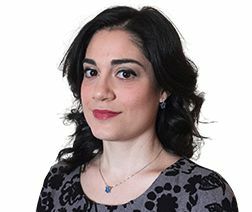 Pode levantar este lote em mão do vendedor: Bristol (), Reino Unido.